Living in a Miami Beach waterfront condo is a luxurious experience. All three of these waterfront homes for sale on Miami Beach include the amenities of an upscale hotel while also providing a unique home between city life and the beach. Each waterfront condo has an amazing ocean view and modern floor plan, but each unit stands out with their design and unique features. These Miami Beach waterfront condos showcase the high life of Miami Beach living. The Miami Beach waterfront condo at 102 24th St. is an amazing penthouse with direct ocean views. This condo complex offers outdoor space and amenities that rival a world class hotel. 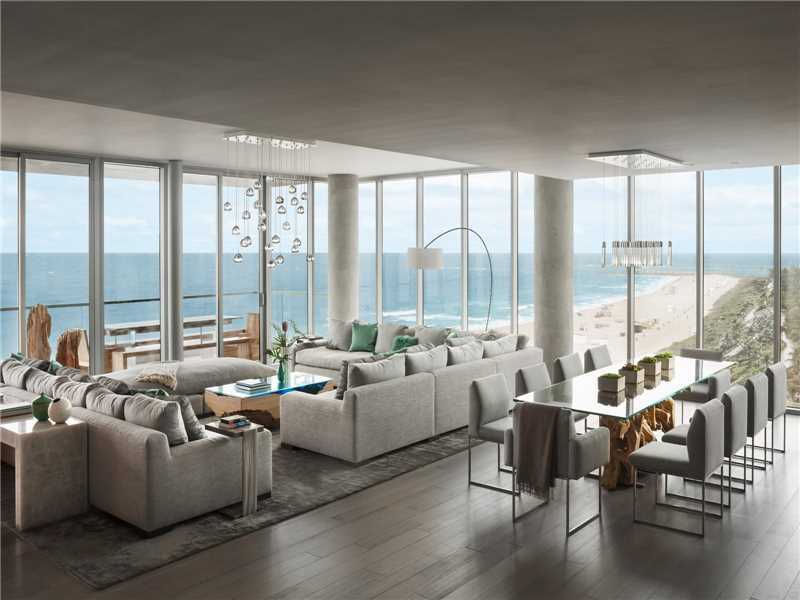 The open floor plan gives the unit a very modern feel, and the large floor to ceiling windows in the main living spaces brings the ocean and beach vibes into the space. The white color palette provides a simple feel throughout and makes this unit a blank canvas suitable for any design preference or lifestyle. For those looking for a penthouse that merges city living with a beach lifestyle, look no further than this Miami Beach waterfront condo. For a unique bi-level penthouse, this Miami Beach waterfront condo is a must-see. The boutique beach house is designer ready, making it a great option for those looking to customize their unit. The layout, one residence per floor, offers three levels with a master suite encompassing the entire second floor. The view in this condo is amazing with 360-degree unobstructed views of both the ocean and the city. There is also a rooftop deck complete with a pool and summer kitchen. 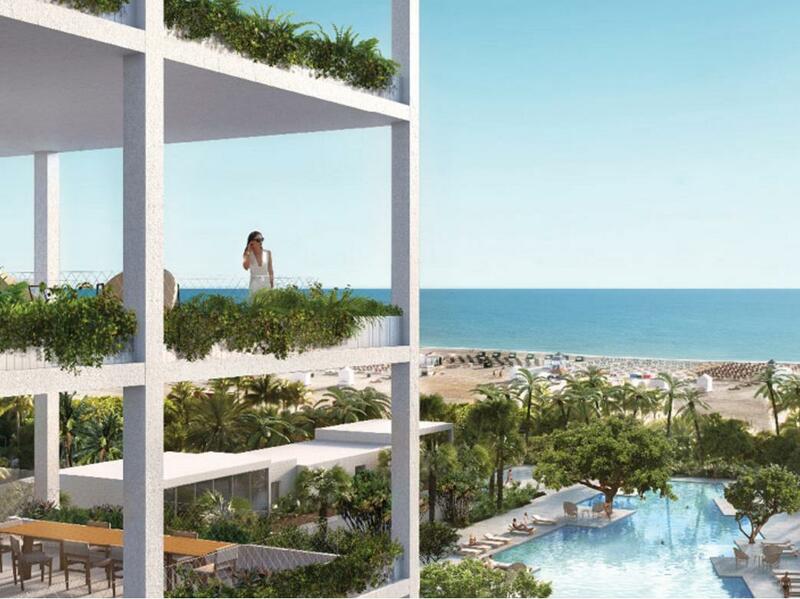 Building amenities provide a high-class hotel feel, from the 24-hour concierge to a 75-foot pool with private cabanas and private beach access. The techno gym and yoga terrace provide a well-rounded fitness center. Owning a Miami Beach waterfront condo comes with its perks, and the unit available at 125 Ocean Drive is complete with amazing amenities. The home is ready for its new owner to move in, and it sits in an exclusive Miami Beach location. It feels luxurious from the moment you step in the door, from the custom staircase to the accents in the kitchen and master bath. There is a very modern design throughout, including clean lines and neutral tones. One of the most luxurious features is the 5-star amenities offered in the building. Highlights include the on-staff butler service, which sets this building apart from other waterfront properties in Miami Beach. For a new life filled with luxury and style this Miami Beach waterfront condo is the property for you. No matter which Miami Beach waterfront condo you choose, all provide a luxurious Miami Beach lifestyle. From spacious units with open floorplans to 5-star hotel grade amenities, living in a Miami Beach waterfront condo is life elevated and filled with luxury and grace. So what’s it like to live in a Miami Beach waterfront condo? Pampered. 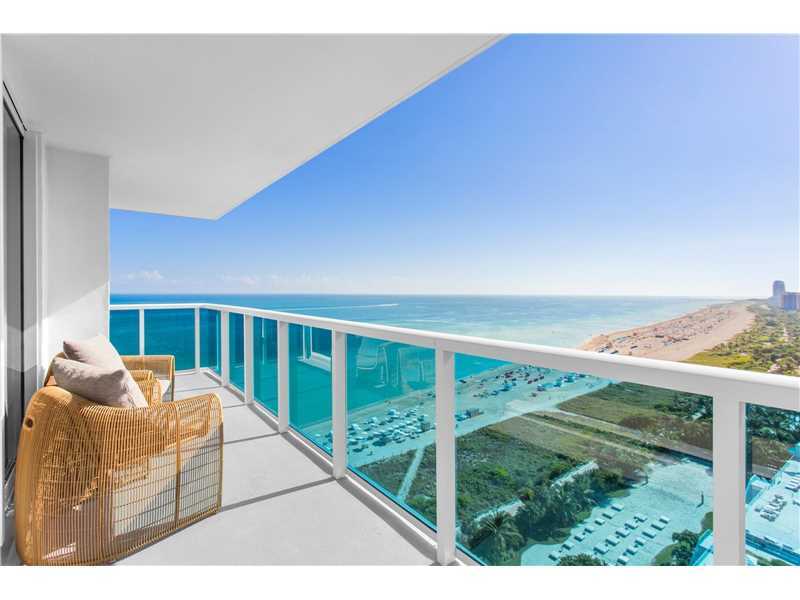 If you are interested in any of these Miami Beach waterfront condos contact us at pobiakproperties.com, and we will be more than happy to help you find your ideal Miami Beach luxury condo. This entry was posted in Miami Beach Lifestyle, Miami Beach Luxury Real Estate, Miami Beach Neighborhoods, Miami Beach Waterfront Condos, Miami Beach Waterfront Homes, Miami Beach Waterfront Neighborhoods, South Beach and tagged Miami Beach condos, Miami Beach Luxury Condos, Miami Beach Luxury Real Estate, Miami Beach real estate, Miami Beach Waterfront Condos, Pobiak Properties on February 6, 2017 by Giancarlo Bobbio.